Cheap Airline Tickets to Amsterdam, Travel Tips for You. Finding cheap airline tickets to Amsterdam are a good start for any vacation. When you are making travel plans for you visit to Amsterdam, you probably will be interested in finding these airfares. My first thought when writing this page was:" That's just not possible, cheap flights doesn't exist anymore". A very depressing thought and not totally true. Yes, airfares are expensive at the moment, but searching around and reading helpful tips can save you a bunch of money. First I determine when I want to travel to Amsterdam. Summer months are always the high season and airfares and hotel rates go up during these months. Spring and fall are a bit cheaper and for a tourist travel the best times: Less crowded, reasonable prices and still good weather. 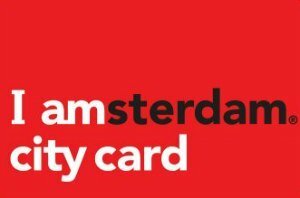 January and February are the best months to find the cheap airline tickets to Amsterdam, but obviously you have to stick mostly with the indoor activities, although the winter is not very cold or snowy. See my page about weather in Amsterdam. If you know when you want to go, then the best thing is to look around for the prices as soon as possible. Often the prices are lower when you book your flight far in advance. When you are flexible with your travel dates, look for the prices on Tuesday, Wednesday or Thursday, because these days are in general cheaper. 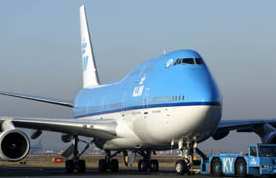 Consider other carriers then the major national airline, KLM. Amsterdam is a huge airport hub for travel within Europe and a lot of smaller carriers have stops in Amsterdam too. Another good option for the flexible traveler is flying into other cities of Europe and get a transfer to Amsterdam by train, shuttle bus or with one of the economic low budget airlines. The most well known alternative of flying directly to Amsterdam is flying to London (England) and take the low budget carrier Ryan Air to Amsterdam. For around 30 Euros it will bring you across the Canal in about an hour. Also Paris (France) or Dusseldorf (Germany) are good hubs to use, from here there are high speed trains directly to Amsterdam. Europe's most well known Low budget carriers are: Ryan Air and Easy Jet. They often fly into other major cities of the Netherlands like Rotterdam or Nijmegen, from where you can easily take the train to get into the center of Amsterdam. Cheap airline tickets to Amsterdam don't exist, but with these tips a get a long way. So what's next I need to know? For interesting and fun facts, I suggest you read the page: Know before you go! Then the best tip I ever heard: This only works if you need one or two tickets and you are very flexible and are NOT aiming for the high season: Look online for seat availability in the next two days and if you find a flight with only a couple of seats left, you call the airline directly and see if you can get a bargain price for those seats. Airline carriers love to fill up the airplane and a single last seat is difficult to sell, so sometimes they are willing to offer you a good price. Use online websites that compare a lot of carriers, so you get a good idea about what is available. My preferred websites are: ebookers.com and expedia.com for their ease of use and clear graphs with prices. Good luck with your search for cheap airline tickets to Amsterdam.